Get some winter tires if you really want to be in control during icy weather. Even if you’ve got a truck or SUV made specifically for negotiating tricky situations, winter tires are crucial to staying safe when it starts snowing. Winter tires, not all-season tires. If you plan on driving on icy, snowy roads, just get the winter tires. Even better, buy an extra set of durable wheels and mount the tires on them, then you can swap them out easily. Read on and I’ll explain why this will help you and your family during the cold seasons. Some people think all-season tires are what you need for winter. After all, printed on the sidewall is “M+S.” That stands for mud and snow. In other words, they do better in those conditions than summer tires. But that’s not saying much. Just try driving any vehicle in snow with summer tires, and you’ll know what living on the edge is all about. All-season tires aren’t the greatest in snow or ice. While they sometimes perform all right, once you slide into a ditch, you’ll realize all-season tires really aren’t made for winter. As they say, jack of all trades is master of none. If you’re not sure a tire is a winter tire, there’s a simple way to tell. Look at the sidewall for a mountain and snowflake symbol. To earn this symbol, a tire must meet certain industry standards. Winter tires have a more aggressive tread. The void-to-lug ratio is higher, so there are bigger gaps between the different tread blocks. This allows snow to flow into those gaps, and the tread blocks sink closer to the road surface. As the tires spin, the snow is ejected, so more snow can flow into the tread again. Sharper angles in irregular patterns for the tread also helps. Most tires for winter have sipes, or small slits in the lugs, which give the tires even more edges. This setup bites into snow and ice better. Increased grip means better handling, acceleration and even stopping performance. The little-known fact about winter tires involves the rubber compound. You might think summer tires are soft and winter tires are super hard, but it’s actually the opposite. The hydrophilic rubber used on a tire designed for winter stays flexible in below-freezing temperatures. The greater flexibility also boosts traction. In Quebec, drivers don’t even have to consider the question “are winter tires worth it” – snow tires are legally required during the winter. 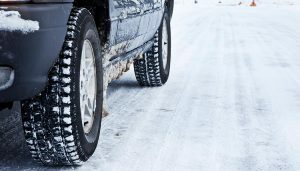 After mandating the use of snow tires, the government saw a drop in the number of accidents and injuries during the winter months. Simply put: winter tires make it less likely you’ll crash. Or get stuck. Or have problems of any kind in snowy, icy terrain. Your car slips and slides on winter roads because of a lack of friction. If you rub your hands together, the resistance between them creates heat. That same force between the tires on your car and the road makes it possible to move forward. 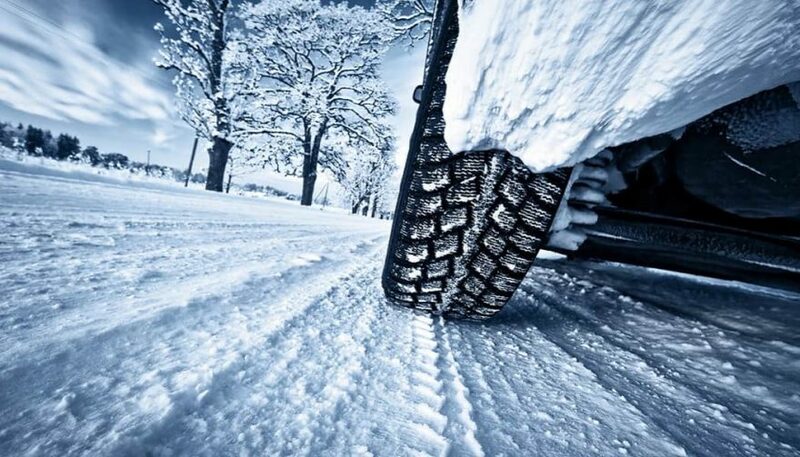 On ice and even slushy snow, most tires cannot create enough friction to be effective. That’s why you’ll see vehicles’ wheels spinning uselessly, while the vehicle sits still or even slides backwards. The whole point of winter tires is to create friction, even against snow, ice and slush. The special tread, sipes and softer rubber compound combine to make friction between the tires and the road, when other tires can’t. It’s not a bad idea to have some chains in your vehicle, especially if you plan on going through especially treacherous areas, like mountain passes. The thing about chains is you can’t use them on bare pavement, or go freeway speeds with them on. Winter tires perform just fine on the freeway, and you could technically drive on them all year (but I wouldn’t recommend it). 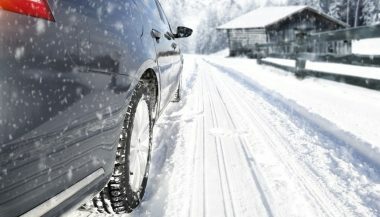 Remember, you can put chains around winter tires, boosting traction further, when things get especially bad. Studs improve snow tire traction as well. While you can get studs on all-season tires, you’ll enjoy the biggest performance benefit with winter tires. The studs dig into ice. This seriously reduces the risk of sliding, even if the whole road is covered with black ice. Just remember they’re noisy and you can’t remove them like chains. Some people want to only use two snow tires, as a way to save money. This isn’t the best idea with a front- or rear-wheel-drive vehicle. It can lead to serious mechanical issues on all- and four-wheel-drive models. You want all four tires to enjoy the same level of gripping ability. Instead, always use four matching tires. This means if you’re going to select snow tires, get a matching set. And while we’re on the subject, keep the tires on your vehicle rotated and balanced regularly, to avoid uneven tread wear. Also, check this out if you’re wondering how to keep your tires from dry rotting. If you hate driving in the winter, perhaps it’s time to get a quality set of snow tires. You might suddenly learn that your car can handle the conditions at least reasonably well. 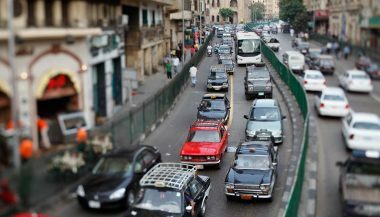 There are some places around the world that are much more dangerous to drive than others. Those places include Rome, Turkey, Russia and Cairo to name a few. Sooner or later, one day you're going to find yourself driving in snow. 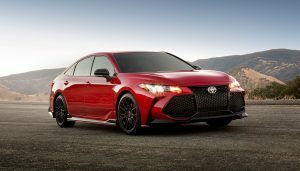 With the right gear and some driving tips, you won't need to worry. 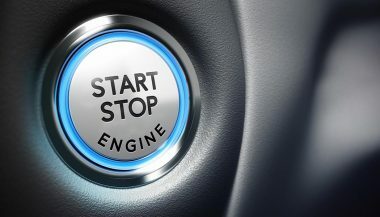 Since 2009 there have been 19 fatalities specifically attributed to cars with keyless ignitions that were not turned off.